Palamidas is one of the few sandy beaches in Hydra. It is not very crowded and offers a relaxed atmosphere. Palamidas is situated southwards to Vlyhos. 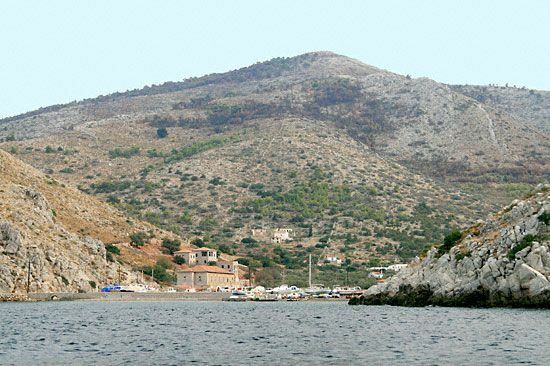 You will reach it after a beautiful 30-40 min walk from Hydra's Town. 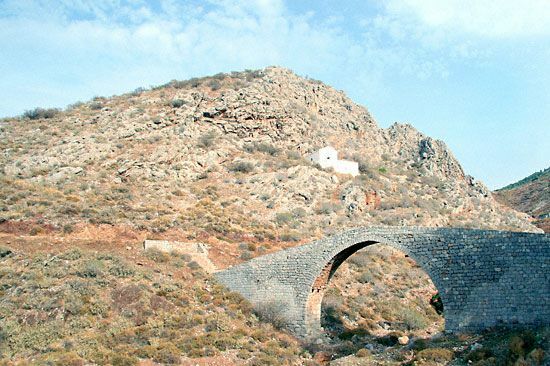 On the road you will see a nice old stone bridge (17th century). 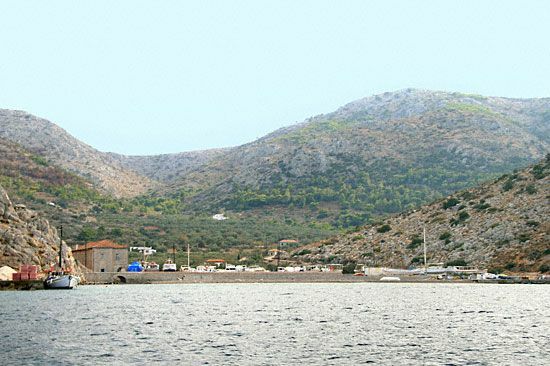 On Palamidas, you will also see the Voulgaris family mansion, in which "Kapoudan Pasa" (meaning "Admiral of the Ottoman fleet") stayed during his visit in Hydra. There is also a small shipyard, which is found close to the beach.